Doing history on a building completed in the 1920s? The Indiana Construction Recorder, we have from 1920-1933, must be consulted. The Indiana Division of the Indiana State Library has a number of digital collections that are online for everyone to see, and they’re only continuing to grow! 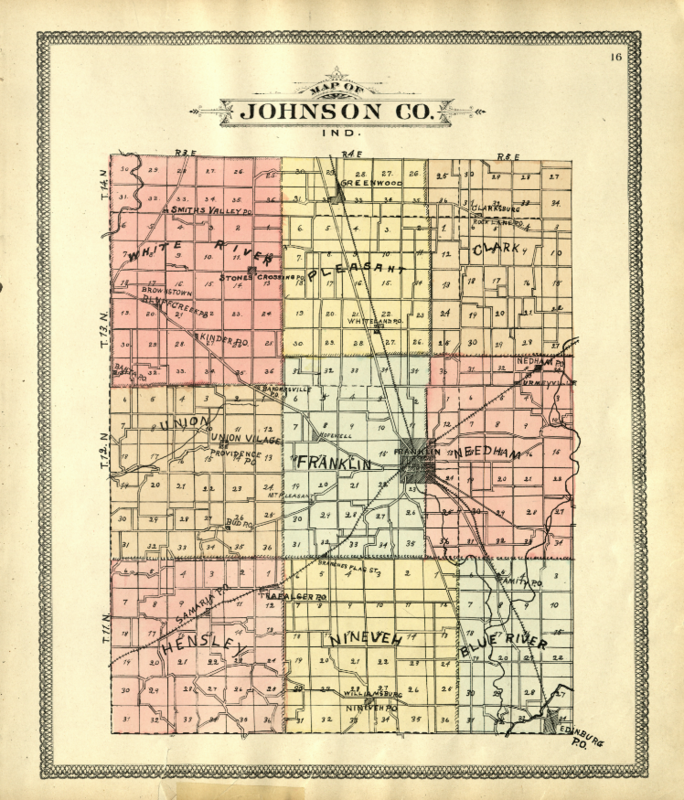 You’ll find everything from atlases, maps, government documents, trade catalogs, county histories, and more. What’s nice about these online collections is that the books are sometimes fragile, and because of that, special caution has to be used before reading one. Now that they’re online through, you can leaf through the pages as much as you want without worrying about any bad tears or pages falling apart. 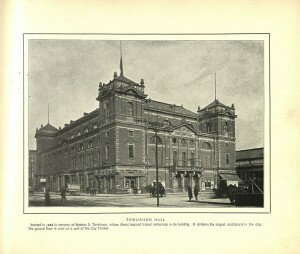 This photo of Tomlinson Hall appears in S.H. Knox’s 1904 book of Indianapolis Photos, which is part of the Indiana State & County Histories collection. Want to see more? Click here. 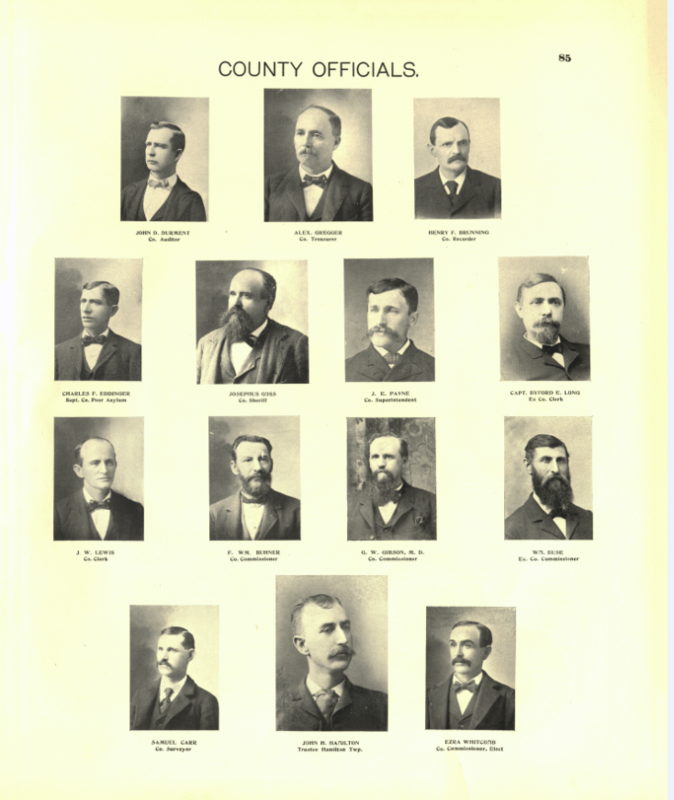 Have you ever wanted to find out where one of your ancestors lived in one of Indiana’s 92 counties? Or do you want to see how your hometown and/or current city existed in the 19th century? 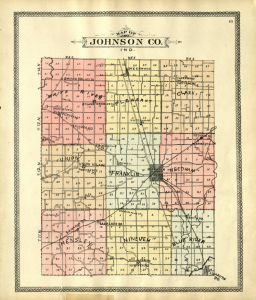 We have Indiana atlases online dating back all the way to the 1860’s, and they’ll show you property owners, illustrations of townships, maps of towns and cities, and more. You can view the entire collection here. 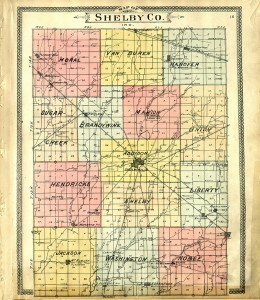 Map of Shelby County, Indiana, from the Indiana Division Atlas and Plat Map collection. 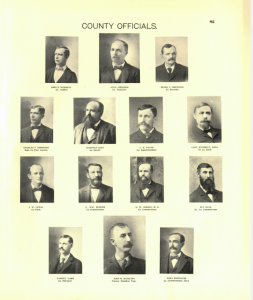 The Indiana Division also collects and digitizes various trade catalogs that sold everything from bicycles and cars, to farm and road equipment. Looking at these materials is a great way to learn about how these industries impacted the development of Indiana in the early 20th century. You can look at everything right here. J.D. 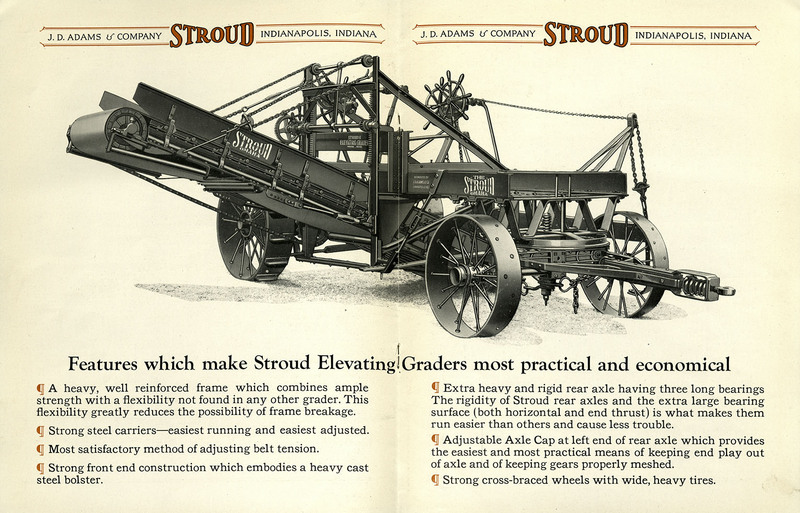 Adams & Company sold equipment that was used in the creation and maintenance of roads. We hope you enjoy looking through these as much as we enjoyed putting them online! This blog post was written by Justin Davis, Indiana Division Librarian, Indiana State Library. For more information, contact the Indiana Collection Division at (317) 232-3670 or “Ask-A-Librarian” at http://www.in.gov/library/ask.htm. The Indiana Division has a wide assortment of rare and valuable atlases in its collection, and to make them more accessible to people, we’ve taken the initiative of putting them online. This process involves finding out which atlases aren’t already digitized, and making sure the books are in good enough condition before scanning them. 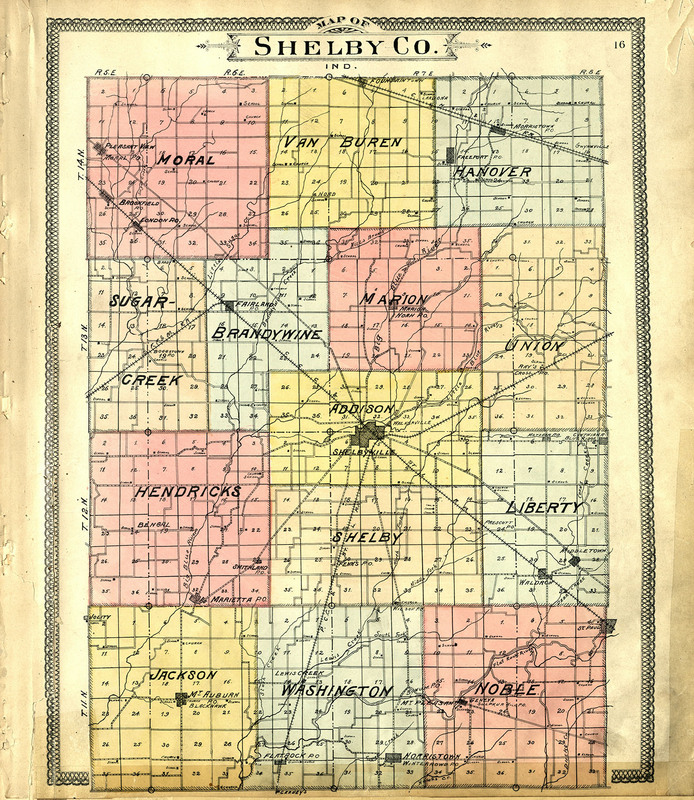 In addition to providing detailed maps of Indiana counties, these atlases show information on property owners, offer family histories, and provide useful facts about the time period they were published in. When you’re researching your family tree, be sure to take a look at these books because they might even show you a picture of your ancestor along with exactly where they lived! 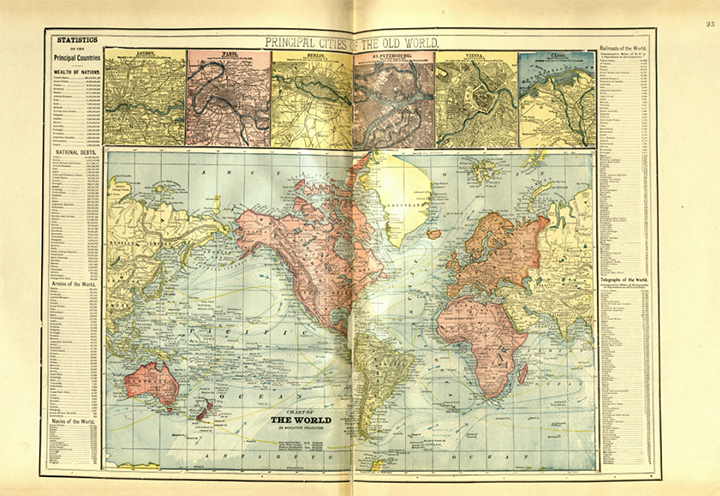 These atlases also had maps of the United States and the entire world, so that readers could learn more about them as well. Not only that, but the world maps had interesting statistics on the power of nation’s armies and navies, their various national debts, and how much railroad and telegraph infrastructure each country had. 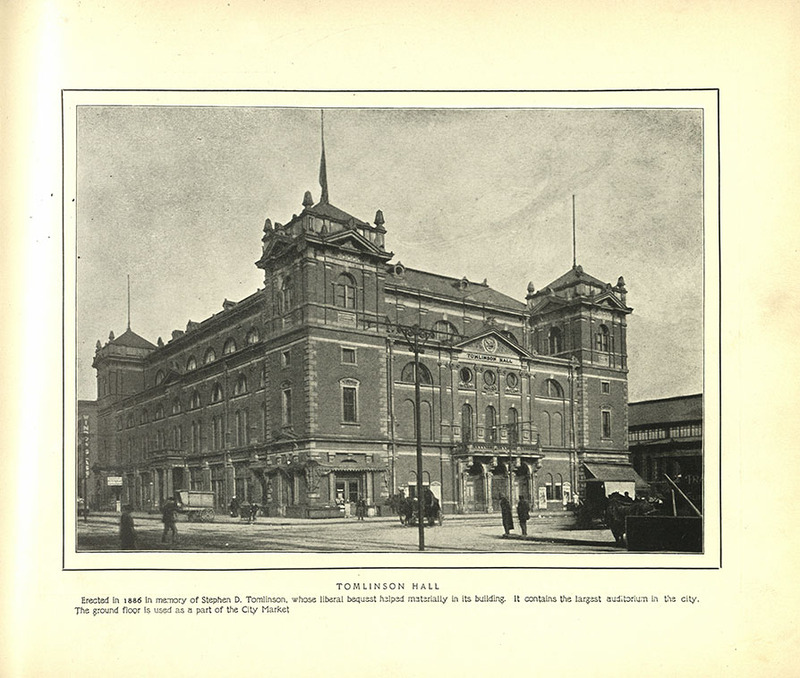 These maps provide a marvelous portal to the history of the late 19th century. This blog post was written by Justin Davis, Indiana Collection Librarian, Indiana State Library. For more information, contact the Indiana Collection Division at (317) 232-3670 or “Ask-A-Librarian” at http://www.in.gov/library/ask.htm. As April 14 approaches, we remember that 150 years ago President Abraham Lincoln was assassinated. 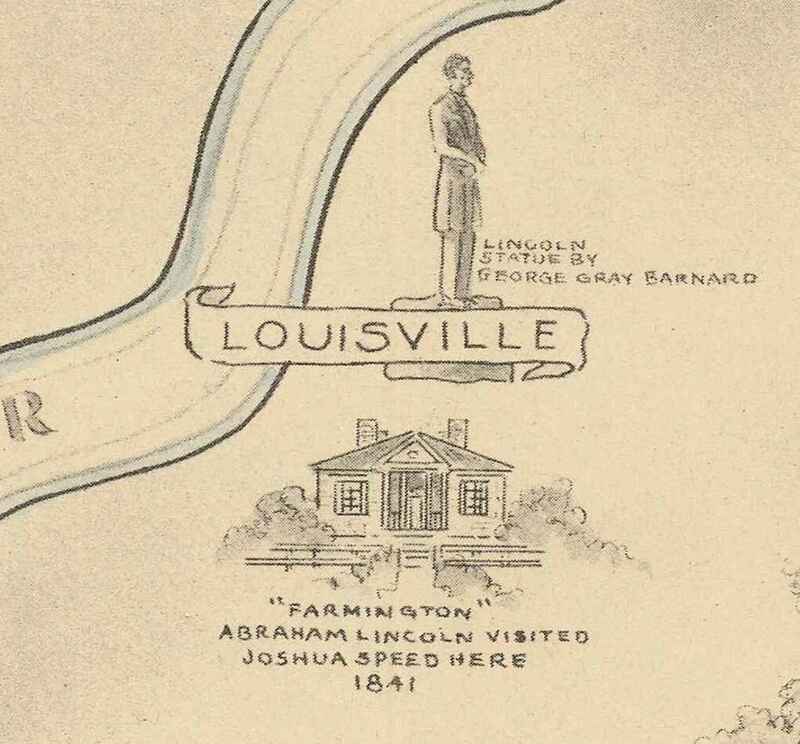 In the Indiana Division’s Map Collection, we have an interesting illustrated map entitled, “Abraham Lincoln, a Pictorial Outline of the Life of the Sixteenth President of the United States” [Map Rm-s] ISLZ 912.77 NT65S 1865 (1934). Karl Smith was the cartographer and illustrator of this map which includes events of Lincoln’s life from 1809 through 1865. 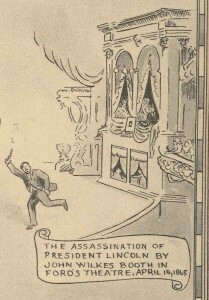 Events of April 1865 include Lincoln’s Assassination at Ford’s Theatre and the Lincoln Funeral Train. These small sections from the map are included below. John Speed of Louisville, Kentucky provided the historical data used in this map. 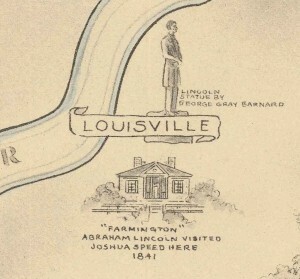 The Speed family of Louisville, Kentucky had a connection to Abraham Lincoln as described in the book, Louisville’s First Families : A Series of Genealogical Sketches (1920). 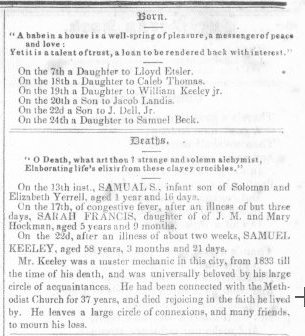 The Speed Family biographical sketch notes, “It was to ‘Farmington’ that Abraham Lincoln came before the Civil War to visit his friend, Joshua F. Speed, the fifth son of Judge Speed. The friendship, which was one of Lincoln’s strongest attachments, was the result of a meeting in Springfield, where Joshua Speed spent seven years in his early manhood.” The sketch continues by explaining that “James Speed, born in 1812, was Attorney General in Lincoln’s cabinet….and was mustering officer for the United States army in the Civil War. All the Speeds were loyal Unionists.” An illustration of Farmington, the Speed home, is also included in the map. The grave of Lincoln’s older sister, Sarah Lincoln Grigsby is noted, as is the grave of his mother Nancy Hanks Lincoln. A speculative rendering of the Lincolns’ first lean-to style home is marked. A drawing of a log cabin represents what may have been several evolving residences along Little Pigeon Creek. 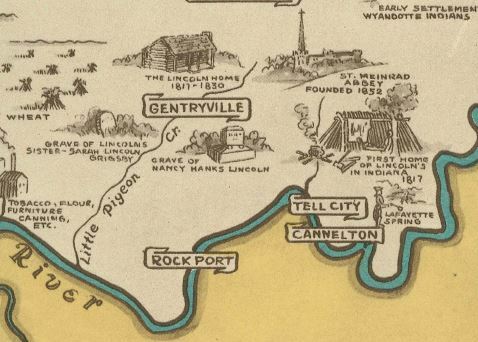 The nearby town of Gentryville is labeled, although it was not platted until 1854, long after the Lincolns moved to Illinois in 1830. The Spencer County community was settled by James Gentry, Sr., the farmer and merchant who hired Abraham Lincoln in 1828 to transport merchandise by flatboat to New Orleans. The site of the Lincoln log cabin was known much later as Lincoln City, presently an unincorporated area. 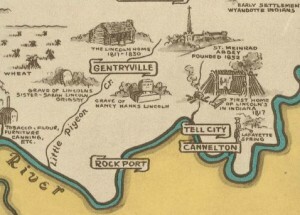 Karl Smith created a number of illustrated maps including a 1953 variation of the Lincoln timeline map. Commissioned by the J. B. Speed Art Museum in Louisville, Smith created illustrated maps of several states, including Kentucky. More of Smith’s maps can be viewed on website of the David Rumsey Map Collection. According to Smith’s memorial on Find A Grave, he was also known as the creator of the The Little Colonel Game, a board game and promotional tie-in to the 1935 movie starring Shirley Temple. The two Karl Smith maps described in this article are among the many interesting illustrated maps we have in our Indiana Collection. This blog post was written by Andrea Glenn, Indiana Collection Librarian, Indiana State Library. For more information, contact the Indiana Collection Division at (317) 232-3670 or “Ask-A-Librarian” at http://www.in.gov/library/ask.htm.